Happy New Year, E-Learning Heroes! Can you believe we completed our first calendar year of challenges? Thanks to everyone who participated in one or more challenges over the past year. 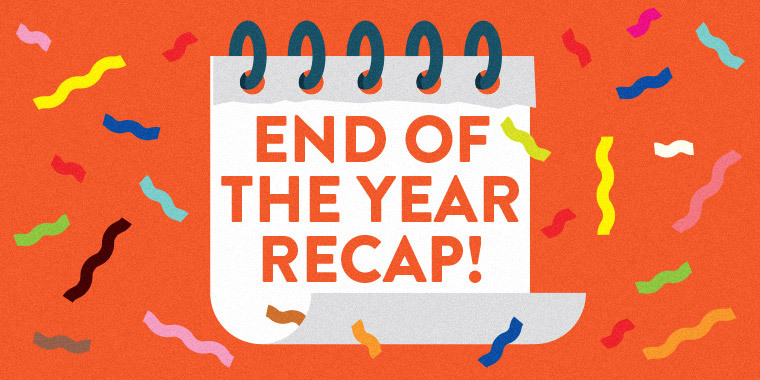 For this annual recap, I wanted to highlight some of the popular challenges, demos, and templates you and your fellow community members shared over the past year. I thought it would be interesting to know how many users have completed 10 or more challenges. The following list represents completed challenges and should not be interpreted as any type of ranking or endorsement. More than 1,100 demos have been shared since we launched our first e-learning challenge in 2013. Here are some of the most active challenges that included 25 or more entries. Here are some popular recaps that feature free templates, graphics, and downloads shared in the community challenges. 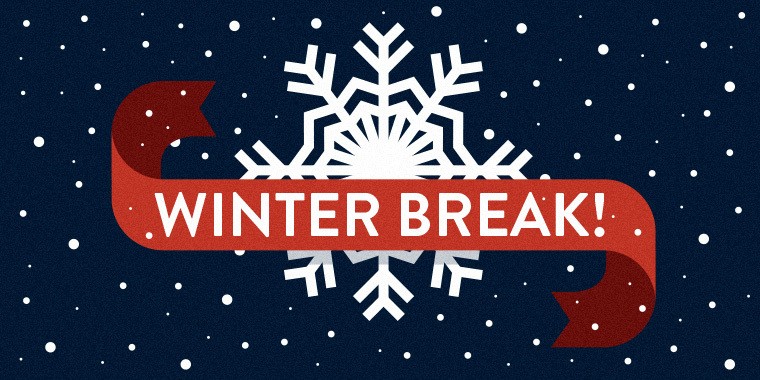 Technically we're still on winter break and there aren't any challenges this week. If you're itching for a challenge, why not write up a blog post or start a forum discussion to share your favorite challenges from the past year. Feel free to use the comments below to share one or more of your favorites from last year. 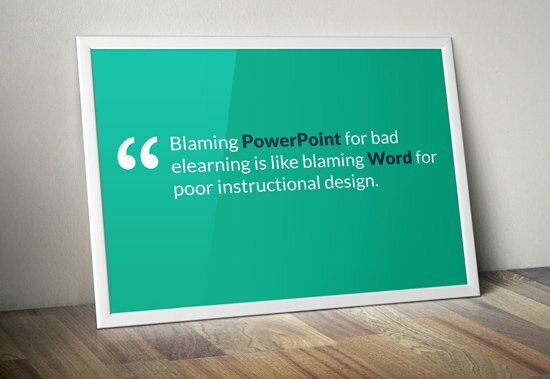 Thanks again for everything you share, E-Learning Heroes. Have a great 2015! I'm catching up - just posted my entry for the digital magazine. http://pinchedhead.articulate-online.com/3796897233. Let’s see here: My 3 favourite challenges from David were: - Challenge #35 - Instructional Design Tips That Really Pop - Challenge #37 - Spelling Bees and Interactive Vocabulary Quizzes - Challenge #52 - Interactive Sliders in E-Learning My 3 favourite challenges where I loved the entries were: - Challenge #35 - What’s in Your Course Design Toolkit? - Challenge #39 - Podcasts in E-Learning - Challenge #58 - Digital Magazines and Interactive E-Learning My 3 favourite entries were: - Stephanie’s entry for challenge #42 - Smartphone Video Training Examples - Dianne’s entry for challenge #58 - Interactive Magazines and Interactive E-Learning - Nancy’s entry for challenge #60 - Using Progress Meters in E-Learning The easiest challenge to complete was challenge #56 - 10 Things Instructional Designers Don’t Like to Hear. The most challenging challenge to complete (that I have completed so far - I don’t know if the ones I haven’t complete count :P) was challenge #32 Death, Taxes, and E-Learning Mistakes - CRINGE. My favourite entry from another user was Nancy’s entry for challenge #60 - Using Progress Meters in E-Learning. I first saw this at the E-Learning Heroes Community Roadshow: Toronto, and I loved the practically of it (and meeting Nancy)! Awesome recap, Ashley! I’m with you and Jackie: the podcast challenge was one of my all-time faves. https://community.articulate.com/articles/elearning-podcast-interviews I have everyone's entries in a playlist and listen to them when I travel. I’m thinking of adding a regular podcast feature either as a challenge or separate series. My personal favorite challenge was the high-speed course design challenge. I really like the backstory behind the challenge and thought it was a good practice activity for course designers. Overall creativity in a challenge? I think the Sliders Challenge is my favorite: https://community.articulate.com/articles/interactive-sliders-elearning-examples We had just launched Storyline 2 so there weren’t many slider examples. I thought it might be risky to run a software-specific challenge on a feature folks hadn’t used before. I sure underestimated you guys on that one! The examples you shared were some of the most creative and inspirational we’ve seen. For 2015, I'd really like to focus the challenges on professional development. That includes portfolio development, finding consulting work and career changes, and overall mastery of course design skills. If you have an idea for a challenge, please let me know. Yes David, I agree with professional development challenges!! Thanks, Daniel! I truly appreciate all you've contributed and shared in the community. You're one of the regulars and I look forward to seeing you each week. "The video challenges were my most challenging challenges but I loved them because they made me do what I would ordinarily not do." This is AWESOME! Couldn't agree with you more. You captured the essence of the challenges perfectly with this statement. David - maybe another category for "most challenging challenge" is in order. Hey Charles - I have "Most Challenging Challenge to Complete" but maybe you mean something different? I could probably share "most challenging challenge post to write" LOL! Thanks for the comments... @Jackie, David, Jeff, Charles! Thank you Daniel. It's my pleasure to help wherever I can. Thanks David! It's a great way to stay sharp and creative plus I'm a sucker for social media and making new friends! "... and hopefully inspire someone who hasn't joined the Community or published their first challenge to JUST DO IT! You'll feel welcomed, accomplished and satisfied, I promise". I so much agree with this statement! It took me some time as well to publish my first challenge until I decided to 'just do it'! And I met a great community just waiting for it/me... And I have a feeling the community will be more fun and challenging this year, all is getting set! Thanks Jennifer for the great recap post. David thank you for this summary and for promoting the Challenges in 2014. And thanks everyone for all your ideas and contributions, I’ve learnt so much since I joined this great community! Congrats to all who are on the Challenge Board, I hope my name is there by the end of this year ;) By the way, David could you please update Challenge Recap #38 with my submission? It’s sometimes confusing: once demos are showcased, should we (those who are usually late, like me) post the submission in the Recap page or do we still use the Challenge page? Regarding the Challenges categories, I find some Challenges more difficult to complete than others, for example Podcasts #39, Portfolio #46 or the Smartphone videos #42, will continue in my to-do list, until I have more experience. I didn’t participated many times but my favourites challenges were: *Using Characters #18 * Jackie’s game makeover #38 * Call Center #47 I’d suggest the Category “Challenge with more first-time challengers” which I suspect is the Meet the Team#43 ;) Daniel and Jeniffer, great posts! Fantastic post David and great comments everyone. It has been an amazing year to be part of this community. Did I really contribute to 16 challenges? Now I know where my spare time has gone, and why my husband keeps saying "are you on that computer again"! I have learnt so much from everyone and the connections I have made have been both positive and rewarding. Thanks to everyone for their generosity, support and sharing nature. This time last year I didn't have anywhere near the e-Portfolio that I have now - thanks to this amazing community. My favourite challenge by far was the Ebola challenge. For me this was a good lesson in how I had just skimmed the surface of knowledge on what was happening with this crisis, until I needed to understand more to to put together my challenge submission. In this regard, I found this challenge very confronting as far as the message I was trying to communicate in my design. My approach to each of the challenges is not only to explore and develop effective and engaging design concepts, but to immerse myself in the topic as well. With this mindset, I find some of the challenges more confronting than others. My goal this year is to step outside my comfort zone a little and try some of the challenges that I initially thought "no way am I going to do that" - like the one where we were challenged to video ourselves!! Looking forward to another amazing year of learning and contributing!